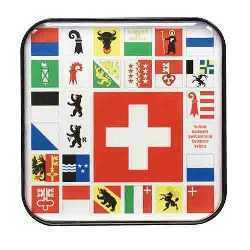 Acrylic with Swiss and all Canton flags with a magnetic back. 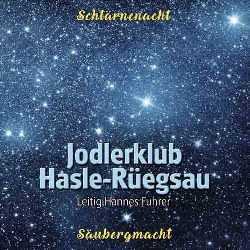 3.5” by 3.5.” Package of 6 coasters/magnets. 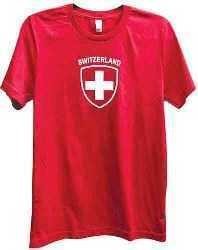 Long sleeve 100% cotton T with a Swiss shield and “Switzerland” on the front. 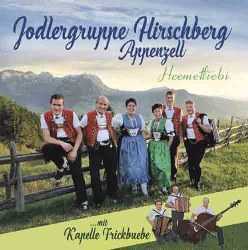 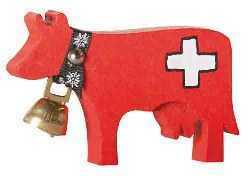 Short sleeve 100% cotton T with a Swiss shield and “Switzerland” on the front. 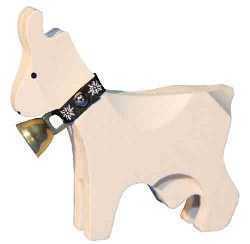 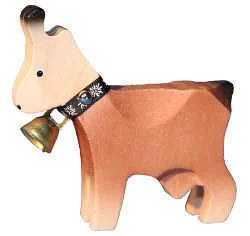 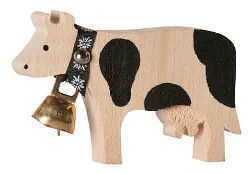 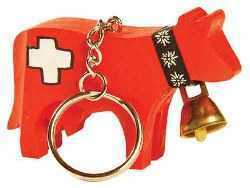 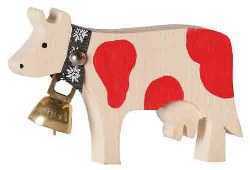 Red-painted wood cow w/Swiss crosses, cow bell, key ring. 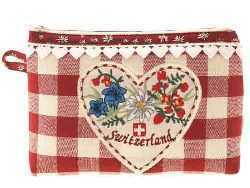 1.75”w x 2.5”h.